Funtastic Fotos is the leading provider of on-site digital imaging utilizing the latest green screen technology. Founded in 2000, Funtastic Fotos has been featured in The Times Picayune, on New Orleans WWL-TV Digital Gumbo, Baton Rouge’ s WBRZ News Channel 2 and TLC’ s Four Weddings. The flipbook system was also part of major events in our community such as Brad Pitt’s “Make it Right” Foundation Gala, Zoo-to-Do and many more. Even Queens of Rex have had Funtastic Fotos flipbooks as part of their Debutante Party experience. We also provide services for major corporations who want a unique addition to their parties and team building events. We’ve worked with companies such as the New Orleans Saints and Pelicans, Shell, Acme Oyster House and Coca-Cola to name a few. 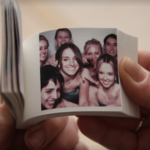 Our flipbooks and digital photos create a unique, personal and entertaining experience for guests at events such as anniversaries, birthdays, corporate events, holiday parties, mitzvahs, weddings, wrap parties and more. Not only do our flipbooks and digital prints serve as entertainment for your guests, but they double as party favors.